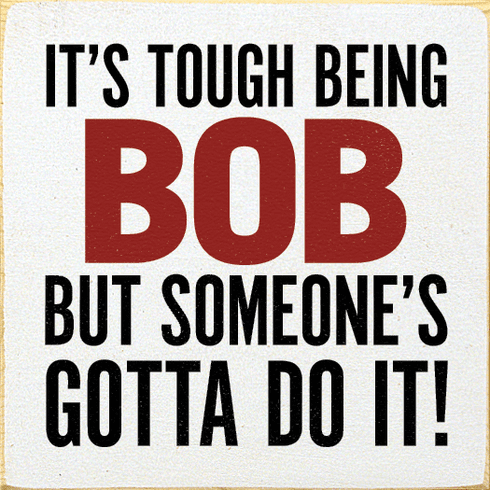 Funny Sign...It's Tough Being Bob, But Someone's Gotta Do It! Made from solid knotty pine. Flat edges for shelf-sitting. Routed slot in back for hanging.